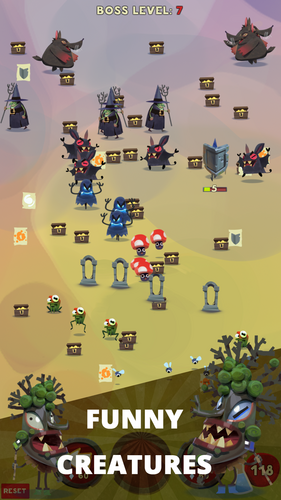 Wizard and Minions is an RPG game about moving in randomly generated dungeons and fighting against the minions and minion bosses. 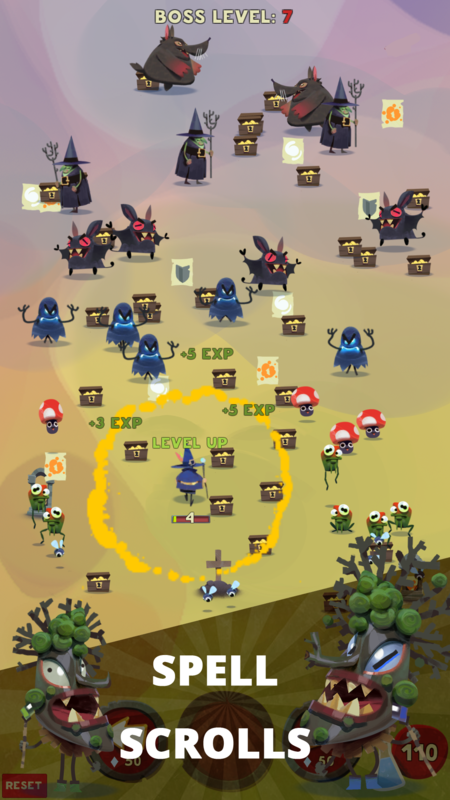 Hero is a classic RPG wizard who is always moving forward. 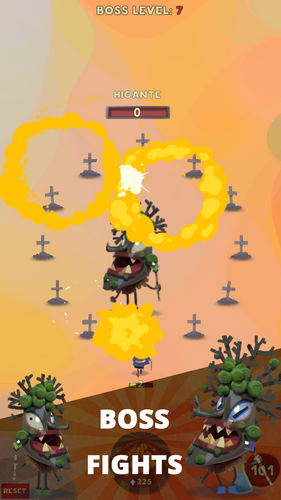 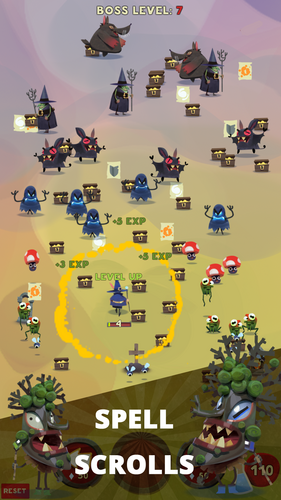 Player's goal is to collect different spell scrolls and use it strategically to get high enough level before entering the minion boss dungeon.